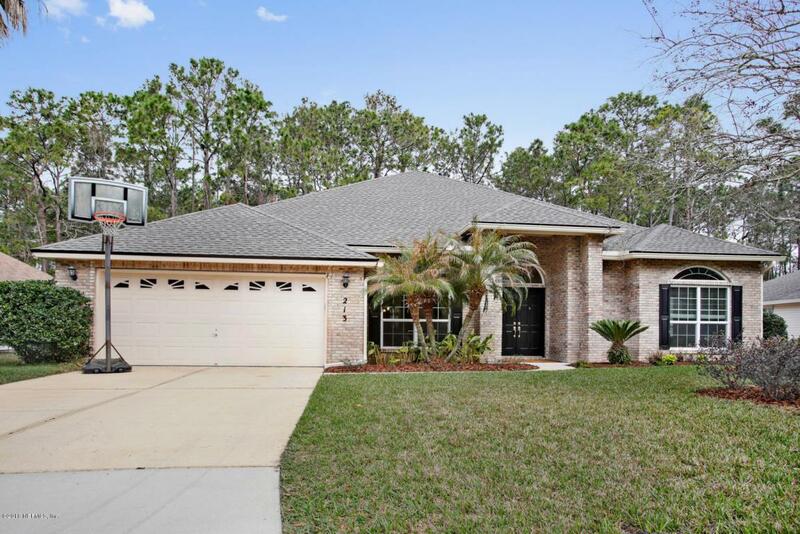 This home is your gem in Julington Creek! From the time you walk through the double-door entry you will know this is your new home! Your eyes will first be drawn up to the 12 foot ceilings and then down to the Brazilian Cherry hardwood floors. The kitchen has been updated with custom cabinetry, granite counter-tops, stainless steel appliances and an induction cook-top. The spacious 3 way split floor plan offers a large Master bedroom, a 5th bedroom that makes a great office space, as well as a large screened porch. Worried about maintenance? Not with this home! The roof is BRAND NEW, the AC was replaced in 2014, and all new windows in 2017. And it keeps getting better, Julington Creek Plantation is an established neighborhood with fantastic amenities and top rated schools.